They became iconic images of the civil-rights movement: A middle-aged black woman tear-gassed and beaten and slumped unconscious on the side of the road. A white Alabama state trooper, billy club in hand, stands above her. In another photo, a man cradles her body. She is physically frail and uses a wheelchair, but remains perceptive and alert, and her failing health has not dampened her determination to keep pushing for change. “I was born to lead,” said Boynton Robinson, whose role in the voting-rights movement is featured in the film “Selma.” “My parents didn’t look at people as being colored or white.” They treated everyone as equal, she added. At 14, she attended Georgia State Industrial College for Colored Youth, now Savannah State University. Two years later she started studying under the tutelage of famed African-American botanist and inventor George Washington Carver. Her career would lead to her to becoming a home-demonstration agent for the U.S. Department of Agriculture. The job included helping rural women with food preservation and teaching home economics. “My parents made an example of what they wanted their children to be,” Boynton Robinson said. “My parents never looked down at anybody,” and they believed every individual should be treated and respected as royalty, she said. Boynton Robinson became a registered voter in 1932, but many blacks, particularly in the South, remained disenfranchised due to obstacles, such as poll taxes and literacy tests, enforced by state and local authorities. The Selma establishment was known to be among the most egregious in barring blacks from the polls. 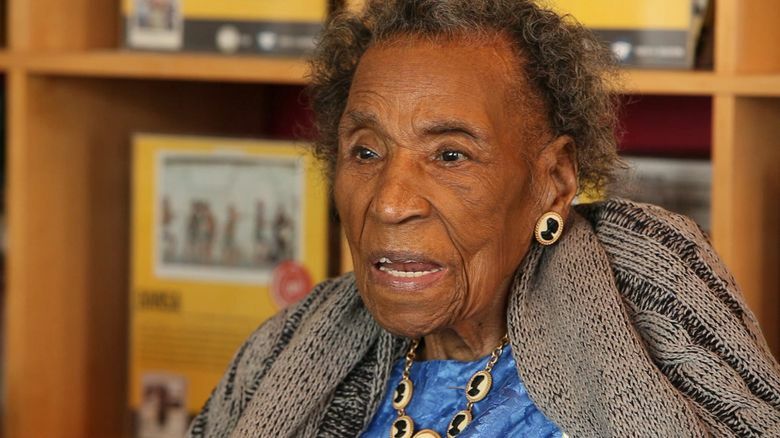 Along with her husband, Sam Boynton, she pushed for black rights, and their house in Selma became a meeting place for organizers in the movement. Although her husband died in 1963, she continued her activism, and planning sessions for the march on the Edmund Pettus Bridge were held in her house. The Selma march was organized to protest the fatal shooting a few days earlier of an African-American church deacon named Jimmie Lee Jackson by an Alabama state trooper, and the general issue of black disenfranchisement across much of the South. During a meeting in Malibu, Calif., with middle-school journalism students, the veteran activist vividly recalled how law-enforcement officials, armed with tear gas, were determined not to let the activists march to Montgomery. She recounted how when demonstrators refused to disperse, the attack began. An officer ordered her to run. She asked: “Why, what for?” That’s when he struck her on the shoulder, then at the base of her neck, knocking her unconscious. Troopers dragged her to the side of the road, leaving her for dead. As Boynton Robinson later learned, when Selma’s Sheriff Jim Clark was told of her presumed demise he was less than sympathetic. “He said, ‘If she’s dead, let her alone and let the buzzards eat her,’ ” Boynton Robinson said. Fellow activists came to her aid, and an ambulance eventually took her to a hospital. The images of the atrocities that day triggered shock and outrage across the globe and galvanized support for the civil-rights and voting-rights movements. 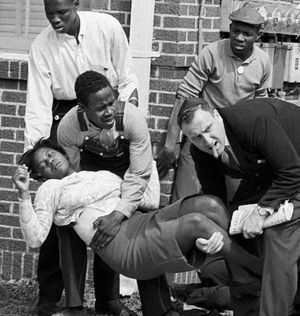 The Bloody Sunday events intensified her will “to do better and go farther and … to help the people to become registered and voters,” said the activist, who in 1964 was the first black woman in Alabama to seek a seat in Congress. According to published material, in the weeks after the march, a group of U.S. congressmen met with the Rev. Dr. Martin Luther King Jr. and other civil-rights leaders at her home to produce the first draft of the Voting Rights Act. Boynton Robinson was at the White House when President Lyndon Johnson signed the act into law in August 1965. After her second husband, a musician, died, she married James Robinson, a onetime classmate who died in 1988. Although census data show that turnout among voting-age African Americans in presidential elections has vastly improved in recent years — in part due to President Obama and his campaign’s community-mobilization drive — Boynton Robinson believes there is still a sense of apathy among the black electorate. “They have gone back to sleep,” she said. She appealed to today’s generation to embrace the lessons of the struggle and not take suffrage for granted.